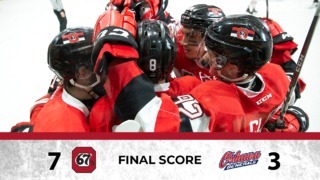 Still rolling without a regulation loss in their last 22 games, the Ottawa 67’s will also be on the hunt for their third-straight win on Sunday afternoon as they host the North Bay Battalion at the Arena at TD Place. The two sides have met twice so far this year, picking up a win each. The last time they battled it out was on November 18th, when Ottawa scored seven goals on the road in North Bay, defeating them 7-4. The 67’s had visited the Battalion earlier in the season as well, losing 4-3 back at the very start of October. This game also represents a battle between two dominating overagers in Tye Felhaber and Justin Brazeau. Both players have been producing at an impressive pace since the start of the season. Felhaber leads the OHL in goals scored with 26 and is fifth in scoring with 43 points. As for Brazeau, the New Liskeard, Ontario native has combined 23 goals and 24 assists for a total of 47 points, which is good for third in the OHL in points. Felhaber has tallied an impressive stat over the current course of the season, scoring the first goal of a game 10 times so far this year, which is obviously a league best. In this current 22-game point streak, the Barber Poles have had a record of 18-0-3-1, picking up 40 out of a possible 44 points. 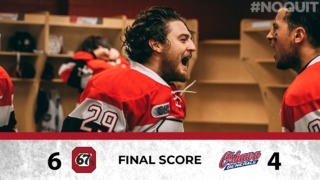 The last time that the 67’s have lost in regulation was in that October 3rd meeting in North Bay, when the Battalion held on to beat Ottawa 4-3. In two games against North Bay this year, Sasha Chmelevski and Kevin Bahl have put up 4 points each against the Battalion, while Tye Felhaber has scored in both games. On a current two-game losing streak and having only won three of their last ten games, it’ll be a very hungry North Bay Battalion that will be showing up to TD Place. 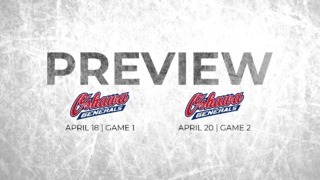 When they do get to Ottawa, the Battalion will be in the middle of a lengthy six-game road trip, in which they will have paid a visit to the Kingston Frontenacs on Friday night. Justin Brazeau, as mentioned earlier, has pretty much been a one man army for North Bay this season, picking up 47 points in 26 games this season. The Battalion’s second leading scorer, Brad Chenier, has had 28 points so far this season, which is a 19 point difference from Brazeau’s team leading tally. This current road trip is a crucial one for Stan Butler’s troops, as they are desperately trying to get out of last place in the Central Division. Coming in hot on a seven-game point streak, 67’s forward Sasha Chmelevski has combined for 19 points in those last seven games. Chmelevski had a four point night in his last game against Kingston on Wednesday. During both teams’ last meeting, Sam Bitten had 2 goals and 2 assists for 4 points. Bitten has gathered 10 points in his last 5 games. As it has been the case for pretty much the entire course of the season, 67’s goaltender Cedrick Andree leads the OHL in wins with 18. Andree is also climbing up the ranks in the GAA department, now standing at fourth in the OHL with a goals against average of 2.54. Ottawa will look to stay out of the penalty box for this game due to the fact that North Bay has the OHL’s top power play with an impressive 28.9% conversion rate.